If you’re looking for entertainment in Birmingham, then take a look at the videos, photos and reviews below and if you like what you see then get in touch and I’ll be happy to help out. One of the main issues with choosing an entertainer for your child’s party or family event is that it can sometimes be difficult to find someone who you will match up to your expectations. After all for children, their birthday party is the most important day of their year, and a day they’ll look back on for years to come! 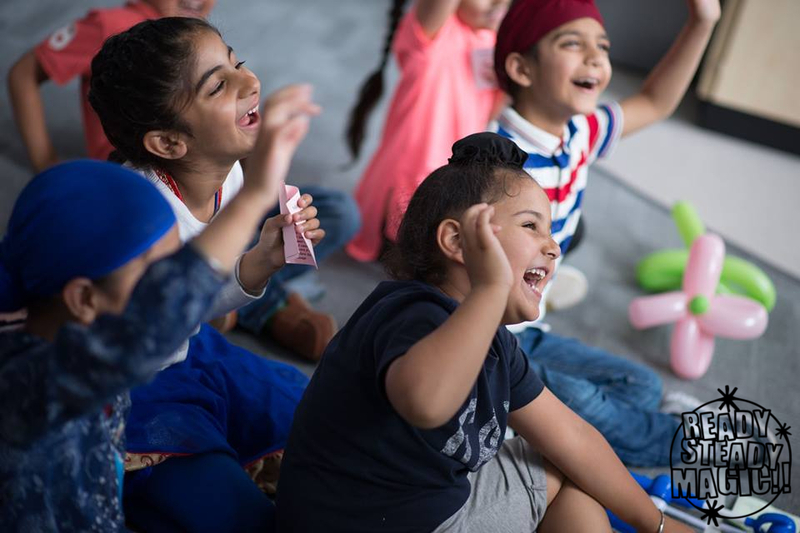 Fortunately, Ready Steady Magic is one of the leading children’s entertainment providers in the Birmingham area and I work hard to make sure that I can provide you with a party that ticks all the boxes. A Ready Steady Magic show is packed full of laughter and smiles. You too can get amazing photos like this when you hire me for your Birmingham party. When their parents arrived they couldn’t wait to show them their new tricks. They all said it was brilliant. It was fantastic for us too! 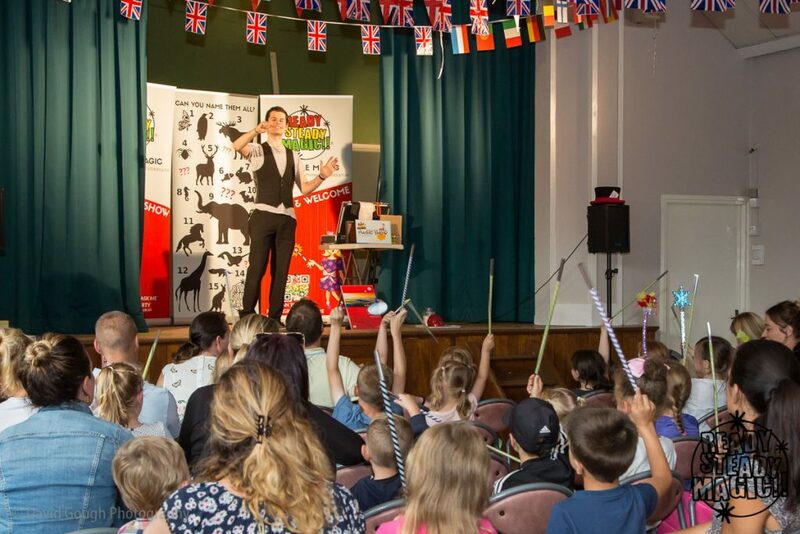 and get the whole audience engaged, just like at this family fun day magic show! For me it was a great way to keep the party at home whilst also keeping the kids entertained. I would definitely recommend him to anyone planning a birthday party or similar event. Highly recommended. The Ready Steady Magic show is perfect for children’s birthday parties, christenings, school shows, workshops and family fun days. I perform every single weekend across the Midlands including in Birmingham, Harborne, Solihull and Coleshill. Dates do get booked up, so get in touch today to secure your date and avoid disappointment.